The Women’s Committee of Central Park Conservancy is a community of Park enthusiasts who raise funds to preserve the nature and beauty of Central Park. With a membership of 800 women strong, the Women’s Committee has made a lasting impact on the well-being of the Parks millions of visitors. Members receive invitations to exclusive programs and events throughout the year. When you join as a member, you are partnering with a dynamic group of women who share a sense of comradery and a passion for the Park. The Women’s Committee has provided invaluable support to our magnificent Park for over 35 years. While your purchase of event tickets funds the Park’s many needs, your annual Membership donation supports the general operations of the Women’s Committee and its programs, including: Adopt-A-Bench, Tree Trust, Playground Partners, Tulips and Daffodils, Perimeter Association, Conservancy Docents and Olmsted Visionaries planned giving program. 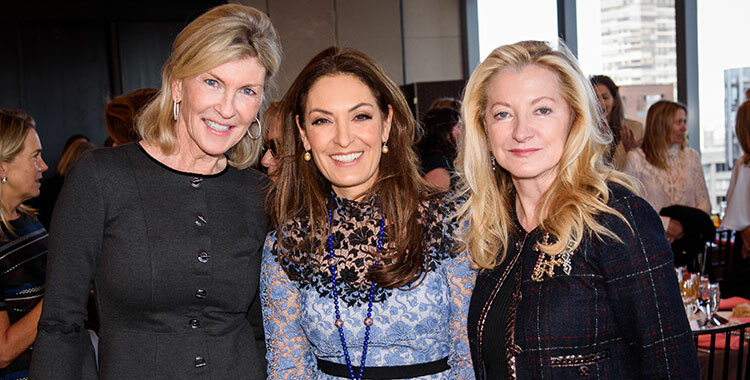 In addition to its year-round programs, the Women’s Committee is proud to host four of New York's premier charitable events. Proceeds directly support the Committee’s ongoing initiatives to maintain, restore, and enhance Central Park. For more information or questions about membership, please contact us at 212.310.6655 or wcommittee@centralparknyc.org.